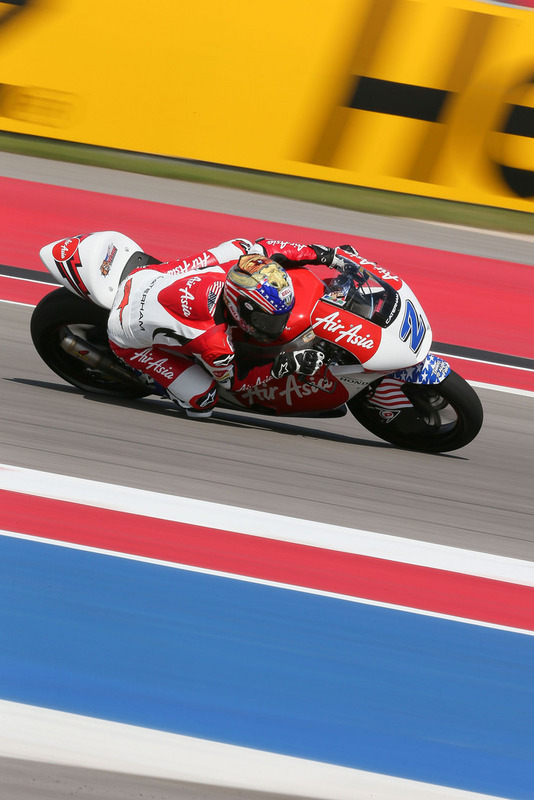 As the sole American competing in the ultra-competitive Moto2 class, reigning AMA Superbike Champion Josh Herrin has a lot of pressure on his shoulders. 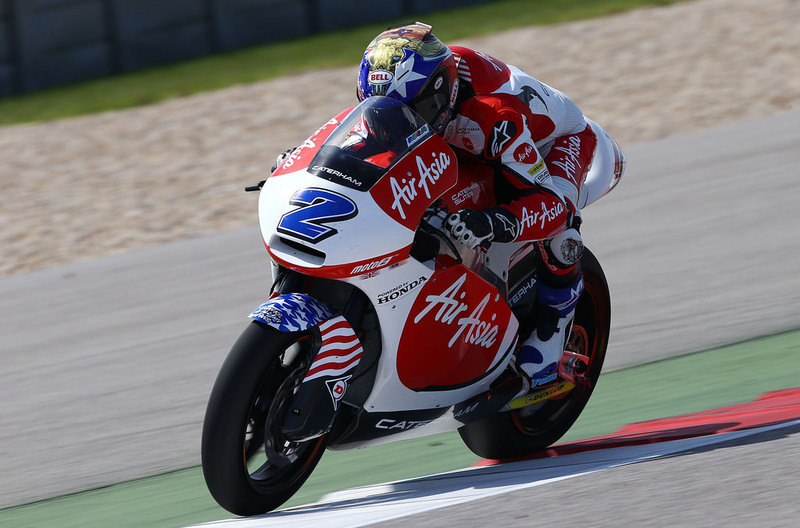 With a life-long desire to compete internationally, Herrin signed his Moto2 contract with the newly formed AirAsia Caterham Moto Racing team the same day he won the AMA title. Now that he’s here, the going has been less than smooth. A poor qualifying position at the season opener at Qatar was followed by a turn one crash that took him out of the race just 30 seconds after it started. 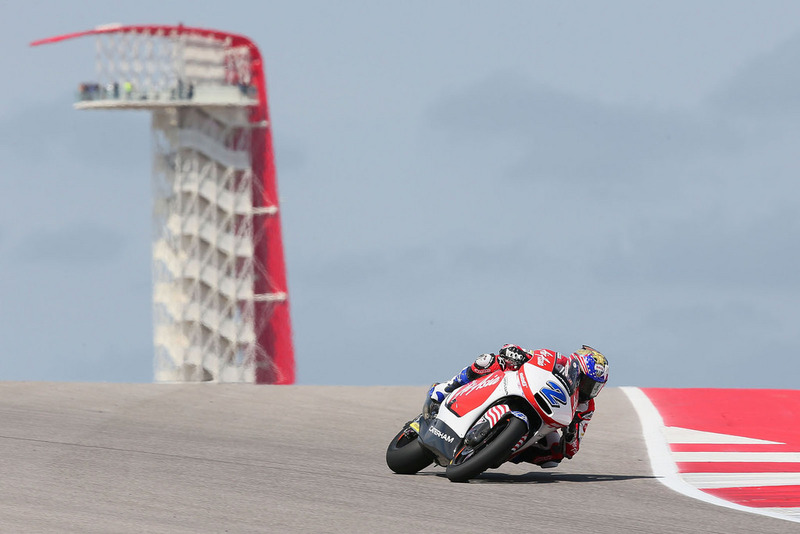 I caught up with Herrin the Friday of Austin MotoGP weekend at the Circuit Of The Americas, round two of the MotoGP championship, to talk about pressure, Moto2, and life after the AMA. Let’s start with your day so far. Practice for you today hasn’t gone so well. Can you tell us what happened? This morning was a pretty good session. We’ve only got 10 laps here, so I don’t really consider it that much time. It’s not even a half a session normally, so when I went out it was kinda like learning the track again, we were about two seconds off P1. So for the first time I wasn’t too disappointed with that, I was not happy, but content with it. We gambled big to try and use gears one through five. I did four laps and it really wasn’t working for me so I came in and went to a couple teeth shorter and that didn’t really work either, but the change took about 20-25 minutes because we had to change a link in the chain, so we wasted a good bit of time in the session. I went back out and had a problem with the front tire, so I came in again, changed the front tire with four minutes to go, and got one lap. So the session was kinda wasted, and that’s why the session wasn’t so well, because we only got about 15 minutes on the track. Hopefully tomorrow goes better. 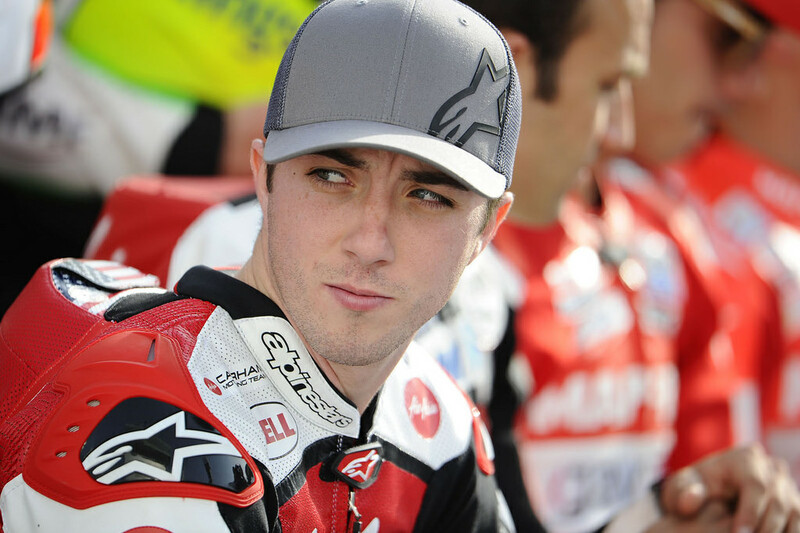 [Herrin ultimately qualified 27th out of 34 riders, and was involved in a turn one crash, just as in Qatar. He remounted, only to crash a second time later in the race. He was credited with 30th place]. As a Moto2 rookie, when you come to these tracks you’ve never seen before, what are your expectations? For me, if we can score in the points and maybe run with the top 10 guys we’d be really happy. I’d be really happy with just getting in the points right now. You know, it’s a learning year — new bike, new tracks, new team, so all that stuff takes time, and like I said, I’d be happy just to run with those guys and finish the race in the points and get a full race under my belt. I kinda set some high expectations of myself when I first started doing testing, then realized it’s a lot more competitive than AMA, so we have to kinda be realistic about it for the first year and I realize it’s gonna be a learning year and we’re going to need to take a few races that aren’t the greatest, but we’ll learn a lot. Has the team put any kind of pressure on you? Not really, but you know, everybody expects to do well. You know, you’re ranked the number one American the year before, so when you come over you’re expected to perform, but a lot of guys realize how competitive the class is and how hard it is to learn new tracks and be on new bikes, so they’ve been really good about it, and for sure they expect results. In the beginning of the year I think they understand it’s going to take some time. Do you gel with everybody so far? Yeah, for sure. Everything’s going good. Nobody I don’t get along with, or anything like that. I think we all work really well together, and it should be fine for the whole year. Let’s back up a bit. Chuck Graves has been credited with finding you and taking you under his wing, can you tell us how this came about and what role he’s played in your career? My dad raced with him at Willow Springs when I was little. And when I was racing 125s, he and my dad were talking and they ended up coming to a race that I was at and they [Graves Motorsports] were testing that weekend with the series we were riding with, and they saw me win my championship on the 125 and that’s kind of where it started, my relationship with Chuck. 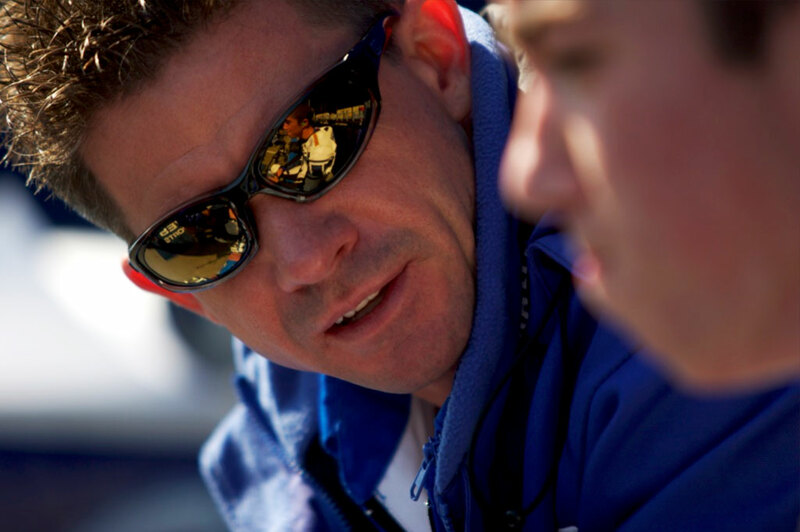 He has given me a lot of opportunities and he took a big risk when he brought me on-board in 2006 doing AMA stuff, and luckily I think it paid off for him. We ended up doing really well together, I was with the team from 2005 – 2013, so we work really well together, everybody always got along, and Chuck has always been a big help for me and it was always a promise to him that I’d try and run his logo if possible if I ever made it further than AMA. When I did, I talked to the team a lot and pushed really hard to try and get him to be the exhaust sponsor for the team, and luckily it ended up happening and we’ve continued our relationship on the track. We’ll always have a relationship away from the track, for sure, just because he’s a great friend of mine, I consider him family, and it’s nice to have him also be a part of the team. Is he just a part of the team through an exhaust relationship, or are there other official capacities? Yeah, officially it’s just the exhaust right now. I mean, Chuck helps me personally, just talking about stuff, but there’s no other parts on the bike right now. But he’s definitely a big help to me. Are you free to change the bike around with various parts? Could you use more of Chuck’s R&D work? Maybe in the future we could. Right now, he got on-board kinda late, so we were lucky just to be able to get the exhaust, but maybe later on we could do some more stuff. I mean, I would like to see that. What would you say are the biggest adaptations you’ve had to make going from AMA to Moto2? Not really any big changes, it’s still just riding a bike. I wouldn’t say there’s really any big changes going from one series to another, other than just trying to keep your confidence up because I’m seeing myself behind at the end of the group, and you just always have to remember that you’re here for a reason and that you have to keep charging and good things will come. Just need to take a little bit of time to be one of those back guys and hopefully make your way back to the front. 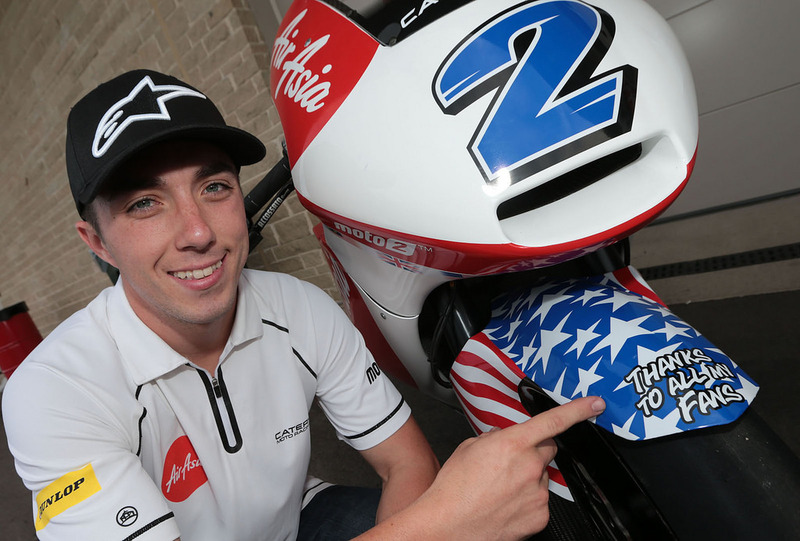 What about adapting from the R6, to the R1, and now back to the 600 on the Moto2 bike. What changes have you had to make to your riding style? Yeah, definitely going from the R1 again to the 600 is definitely a big change, having to carry corner speed again after coming from a “point and shoot” style, and then you come to a track like this [Circuit Of The Americas] and now we’re having to point-and-shoot again. I’ve been trying to get off of that since I’ve been on the 600, so it’s definitely a big change. Physically, it’s a little easier to ride the 600, but lots of changes, for sure, to become quick on the 600 again. Are you trying to revert back to your R6 days [in AMA Daytona Sportbike]? Yeah, you’re definitely trying to lean off more on these bikes. Lean angles are crazy on these compared to the R6 or R1, so I’m trying to remember as much stuff as I can from the R6 to kind of bring over to the Moto2 bike. We saw at Qatar you didn’t have the greatest of races there. When we watch Moto2 races, the starts just look insane. Can you take us through a start from your point of view? At Qatar we qualified 27th, and I’ve always been a racer, better at racing than qualifying or practice, but in that race I got a really good start and got all the way up to 14th, but it was really, really hectic on the first lap. Everybody was hitting off of each other, you’re getting hit from each side, so it’s pretty nuts, but I’ve always been the kind of guy who likes banging bars. But like I said, we were able to get up to 14th on that first lap and then [Alex] DeAngelis tucked the front and took us out on the first lap. These Moto2 starts just seem like piranha pits on TV. Is that what it feels like on your end? Yeah, everybody is all over the place, it’s pretty sketchy. Stepping way back again, how did you get into bikes in the first place? How old were you when you first hopped on a motorcycle? I think I was four years old on a [Yamaha] PW50 my parents got me for Christmas and we rode that in a parking lot as we set up some cones, and then I rode a YSR50 pocket bike, same deal in parking lots. I remember turning seven or eight years old and I remember racing with CMMRA in Southern California and racing up and down California on YSRs and then 125s when I turned 13, then 600s when I turned 16, so I’ve been in it for a long time. Did you always know that racing was what you wanted to do? Maybe when I was 11 or 12 was when I realized that you could do that. I never really knew that you could make a career out of it, so it was probably around there that I started watching races on TV and realized that I could do it for a living and thought it’d be really neat. Tell us about your last two years on the R1. Did your relationship with [Josh] Hayes change at all when you started beating him? No, we always had a pretty good relationship and I only beat him a couple times, so it wasn’t like a big change or anything. We always had a good relationship and had fun together, and he was always a really big help and was a really good teammate and competitor. Is there any specific area you think he had an influence on your riding? Not really, it was more off the track. Just training. That was the biggest thing I think he helped me with, but also on the track just putting in the laps by myself, not worrying about riding around with other people. Have you had issues in the past with teammates resenting your speed or acting out of jealousy of your talent? No, not really, everybody has pretty much been good friends of mine, we’ve gotten along really well. It’s never been a problem. It’s always been good. I’ve been lucky to have good teammates. Outside of on-bike training in the dirt, do you ride on the street at all? Sometimes. I have a [Yamaha] WR250X that I ride just around town whenever I get some time and feel like riding around, it’s pretty fun to me and I enjoy it, but other than that no, nothing like an R6 or anything like that. It’s better to ride the WRs because I stay out of trouble. Is that the kind of recreational type of riding you like to do when you’re not racing? Just playing in the dirt? Yeah, and then I have the supermoto track at my house that we do a lot of training on, and that’s honestly the most fun I have on a motorcycle is riding that supermoto track on those bikes, it’s a lot of fun, you can mess around with friends, and I like helping little kids coming up through my track and I have a lot of fun doing that. Speaking of bringing up young talent, you were a beneficiary of Chuck Graves taking you under his wing, is that something you plan on doing later in your career, harvesting new talent from America? I think for me I would say yes in a way, but for me the biggest thing is just doing the races at my house. I help out a lot getting kids involved in racing and helping them learn what road racing is, and helping them out as much as I can. I have a lot of fun doing that, I enjoy doing schools and helping them out, I think that’s probably what I’ll end up doing. I already do it now, but just to continue that I think would be awesome. Where do you ideally see your career trajectory going? How far do you want to get? I would like to get to MotoGP one day. That’s been the goal since I was a little kid, and Moto2 seemed to be the best way to get there, and now it’s just putting in the hard work to get there. This has definitely been the hardest I’ve had to work to get results, so if we get it then we’ll for sure know that it was earned. Has the move to Europe been on your radar screen for a while? Would you be here today if you didn’t win the AMA Superbike championship last year? Yeah, I signed the [Moto2] contract the day I won the [AMA] championship, so if we wouldn’t have won it I’d still be here, but it definitely helped my calling and the team had a little more confidence in me. So yeah, I’ve always wanted to race in Moto2 since it started, just we didn’t know whether it would be a good class to go into when it first started, but it ended up being a really good class. Real competitive, and a lot of good racers come up through it, so it was kind of a goal for a couple years to come here. Lastly, do you see yourself as equally talented as everybody else, or are you seeing things that your competitors are doing that completely astonish you? I think once you get to this level, you all have the same amount of talent, it’s just how much work are you willing to put in to see the results. It’s been a big change for me traveling so much and my training has really changed a lot and I can’t be on the bicycle as much as I’d like, I can’t be riding as much as I’d like, so that’s been the difficult part. Now that we’re getting into a routine with the schedule coming up, we can plan things out and see how we’re able to train, because I think that’s the most important thing, is putting in the work. Of course some people have more talent than others, but there isn’t anything that they’re doing that I would say I couldn’t do, it’s just putting in the work and having confidence.